RIT is well-known for its engineering classes and expansive wellness options. However, there are some lesser-known courses where students have the opportunity to explore and taste wines and beers of the world. If you’re going to drink while underage in college, you might as well get credit for it. 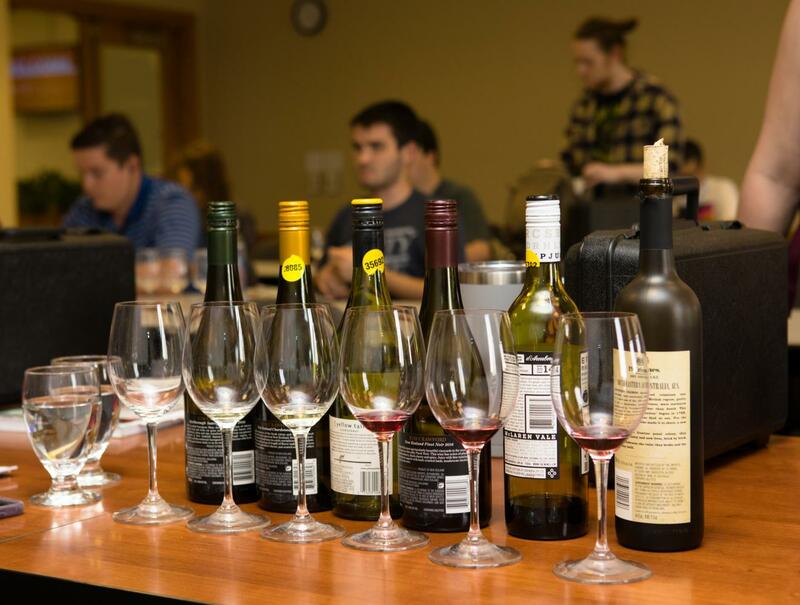 Wines of the World is a two-part course where students learn about various wines from regions across the globe and how to properly taste them. Lorraine Hems, a professor in the Hospitality and Service Management Department and the Wines of the World course instructor, explained the purpose of the class. “The goals ... are to stay current [with] the trends, to try a wine every week that represents the highest quality wine that fits within a college budget,” she said. Hems wants students to feel comfortable when ordering in restaurants and purchasing alcohol in liquor stores. Despite its purely educational focus, there is still plenty of enjoyment to be had. What she didn't expect was the passion students had, the bonds she would form and the interesting things she'd learn. Students are constantly bringing new things to Hems' attention. Some student remarked that the taste of the wine was reminiscent of spice, that it had a perfume-like scent and one wine tasted distinctly of a dusty attic. “I’ve had three students tell me the classroom smelled like their grandmother," Hems said. Students seem to appreciate Hems' approach to teaching and the connections she forms with students. Sumin Oh, a fourth year Industrial Design major, has found her experience to be worthwhile. This course isn’t just limited to students above the legal drinking age. Hems explained why. “Educational exemption. I’m allowed to serve wine to students under 21,” she said. Wines of the World is not a way to get legally drunk underage — rather, it is a strictly educational experience. 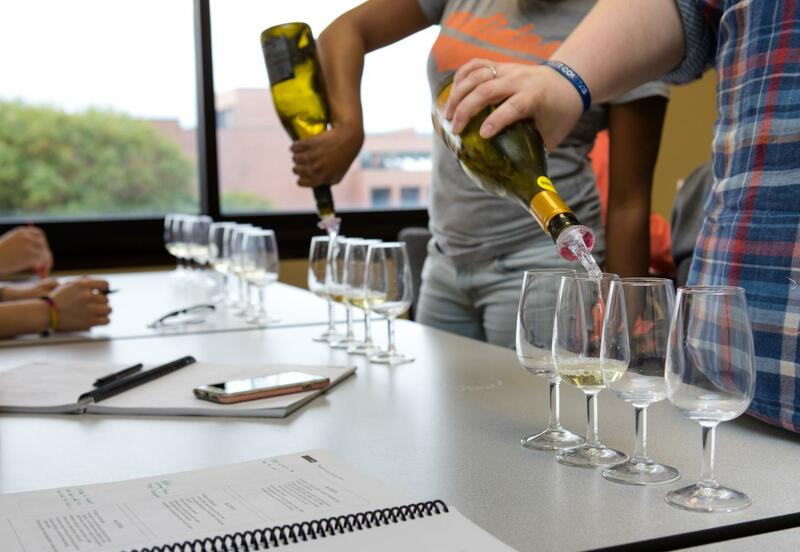 During her years of teaching, Hems has developed a unique instruction style that allows for the art of professional wine tasting to be applied in a college classroom. The first portion of the class covers the history of various wines and where they come from. The second portion is dedicated to the tasting. Hems said that it’s the second sip of wine that’s important for tasting. “First sip of the day, throw it away,” she recited. The wines themselves each have unique flavors and scents that make the class what it is. One might not expect a wine to include bell peppers and green beans, but those are some of the flavors one might experience while taking this course. While exciting enough on its own, Wines of the World is but one of several courses like it. 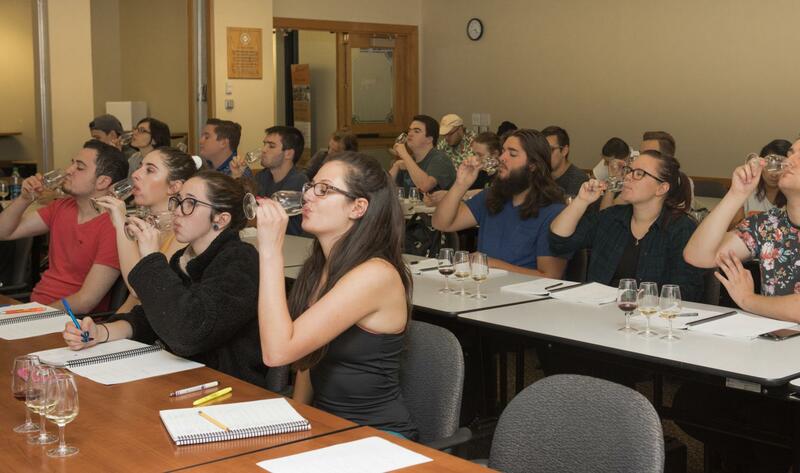 A similar course to its wine counterpart, Beers of the World is a very popular elective. Edward Ganster, a professor in Hospitality and Service Management, likes to take his students to breweries both in and outside of Rochester. Each trip provides a unique experience. Ganster's favorite brewery is the Rohrbach Brewing Company. “One of the times we visited them, they had a release party of their Octoberfest beer,” he said. While these trips are infrequent, there is plenty of in-class content to keep students engaged. David Whitman-Kinghorn, a fourth year Software Engineering student, enjoyed the class despite having never gotten into alcohol. Whitman-Kinghorn mentioned being able to taste certain flavors, like fruit. “I really enjoy the different flavors ... You’d never expect all the flavors you can get from [the basic ingredients],” he said. These courses aren't simply opportunities to get cheap liquor or boost your resume; they also have more direct career application to appeal to certain students. “I’ve had a handful of students reach out to me and say, 'Thank you for the beer course, I’m now working for Sam Adams ... talking about your class really helped me get through the interview,'" Ganster said. Both courses are offered during fall and spring semesters. As the classes are very popular, spots tend to fill up quickly. Whitman-Kinghorn suggests that students sign up if their schedules allow.  "I’d recommend [the class] to both those who are curious about alcohol, or people like me who want to expand their experience."